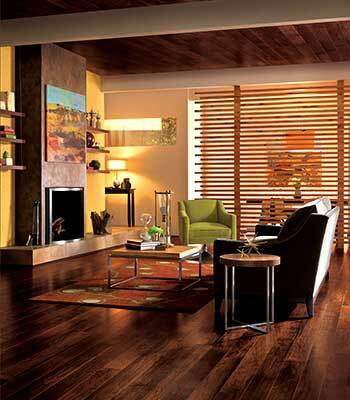 We offer a wide variety of wood and laminate products such as cork, bamboo, engineered hardwood, solid hardwood. 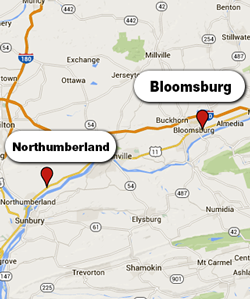 With years of quality installation and service in Pennsylvania, we have the experience required to provide the best installation for your product. Hardwood has come a very long way in recent years. Gone are the days if having to wax, sand and refinish. 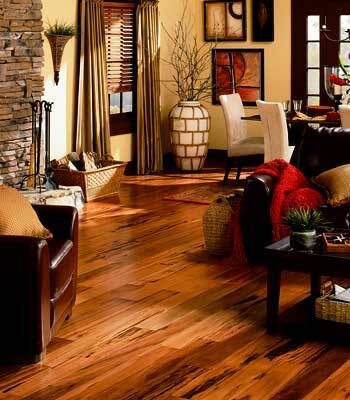 In fact, today’s hardwood flooring has become virtually maintenance-free. At Garvey’s, we have a tremendous selection of hardwood flooring from the world’s leading manufacturers and the best prices that can be found anywhere. Whether you’re looking for oak, maple, cherry, hickory, rustic, modern, engineered, solid… the list goes on and on, and Garvey’s has it all. And when it comes to installation, nobody matches the expertise that Garvey’s brings to every single home. For example, did you know that before hardwood flooring can be installed, a moisture test must be performed? Unbelievably, no one other than Garvey’s performs this simple test. After all, it makes complete sense. Hardwood is porous and succumbs to seasonal expansion and contraction, mostly due to moisture in the air and underneath the floor. If the right precautions aren’t taken, over time the floor can become damaged and not be covered under warranty by the manufacturer. That’s why at Garvey’s we do everything by the book, so our customers won’t be left holding the bag. When you buy hardwood from Garvey’s, not only do you receive the best value, you receive a guarantee that your floor is covered for its life.